Sketchfab Community Blog - Our 10th exporter: Minecraft! The Minecraft Exporter is deprecated. Use Mineways instead. Until today, Sketchfab’s focus has been on the 3D designers and artists that make up the technical side of our community and our power users; those of you using 3D software to create awesome designs everyday. However, we all know the future of the web is in 3D, which means everyday users who don’t necessarily know how to use the software will want to be able to share their own creations in its full, interactive glory. We’re thrilled to announce that with this in mind, we worked on adding Sketchfab support for Minecraft! Not just an awesome game, Minecraft is a fun way to explore and learn how to create 3D content, without needing to know how to use 3D software. There are so many incredible worlds being created using Minecraft, and what we’re seeing is a large group of people who through a game have found an alternative way to create in 3D. 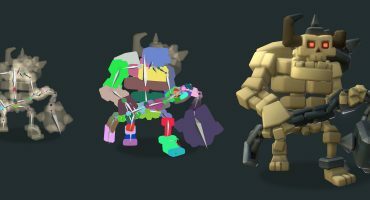 Since Sketchfab is the tool that lets people display their 3D creations across the web, we knew that we needed to come up with an easy way for Minecrafters to upload and share their work. Today, that solution is ready! Our hope is that many Minecrafters will use Sketchfab to share their creations with the world. We think that the Minecraft community will love the ability to embed their models anywhere: personal websites, portfolio’s, forums, and even Facebook. We’re entering a bustling community here. The world of Minecraft is filled with enthusiast blogs, awesome forums, dedicated wikis, block-casts, and many other resources. There’s even a site where Minecrafters created Westeros, in-game – awesome! We’re excited to bring this new tool to the community, and hope its used widely. We welcome your feedback, and can’t wait to see your Minecraft creations up on Sketchfab, and across the web! Sketchfab is now covering a very wide range of the most popular tools to create 3D content, and there is more to come!